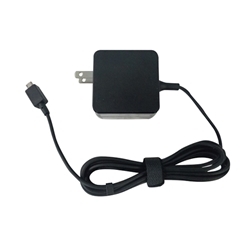 Description: New laptop ac power adapter charger cord. This high quality aftermarket adapter is 33 watts and has a square tip. Compatible Part #'s: 01A001-0342100, ASX205T-808, ADP-33AW B, ADP-33AW AD. Asus EeeBook X205, X205TA, E202, E202SA, E205, E205SA.